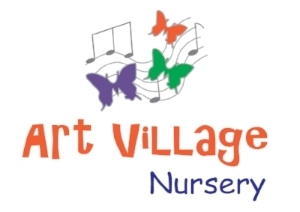 At Art Village Nursery we believe the nursery time should be fun, safe and educational for all children. We work according to the Swedish preschool curriculum and offer a safe and healthy environment that fosters children’s physical, intellectual, psychological, personal, social and emotional development. We are inspired by the Reggio Emilia philosophy, providing a holistic learning environment that stimulates the child’s creativity, imagination and language development through expressive arts. Children have a talent and need for expressing themselves through art, we believe that expressive arts play a central role in learning. We are using four parallel profiles; Dance&Movement, Song&Music, Art&Design, Theater&Drama. These profiles help the child develop understanding about the world around them.We value every child as capable, independent and resilient; rich whit wonders and knowledge. Every child brings whit them deep curiosity and potential, that drives their interest to investigate, experiment and to research about the world around them. The pedagogue is a mentor, a guide, a co-explorer, documenting children’s thoughts and progression of thinking, making their learning visible through pedagogical documentation. We believe children can construct their own learning. They are driven by their interests and through the child-led project work every child is given an opportunity to try on various materials and methods inspired by own hypotheses. We have a strong emphasis on supporting the independent child. The environment is the third pedagogue, inspiring whit natural materials, light, order and beauty.